Wine terroirs-- and wines that taste like a place--offer a compelling instance of naturecultures, the interplay between human endeavors and the particular affordances of their environmental contexts, and the view that nature and culture are co-produced, rather than opposite sides of a divide. This project occupies a cross-disciplinary terrain linking anthropology with the interdisciplinary fields of food studies and science and technology. This project focuses on the contrasting values and practices of large-scale industrial wine production and artisanal place-based wine producers. The concept of terroir stakes claims to the taste and quality of wine from particular locales, reinforced through association with either cultural craft practices or technoscientific techniques. Through analysis of social media, fieldwork observations, and scientific and industry reports, the project has investigated competing discourses about quality, taste, and ethics in the multifaceted world of wine, and aims to share the narratives that the project’s investigations bring to light. Ethnographic and bibliographic highlights include work on the contrasting geological features distinguishing different wine regions in Oregon and Washington, and an investigation of a Willamette Valley biodynamic vineyard. A companion study has focused on wine discourses in social media, and the design features used to communicate them, laying a foundation for an upcoming academic wine blog, "Vintelligentsia: Meditations on Nature/Culture/Wine." 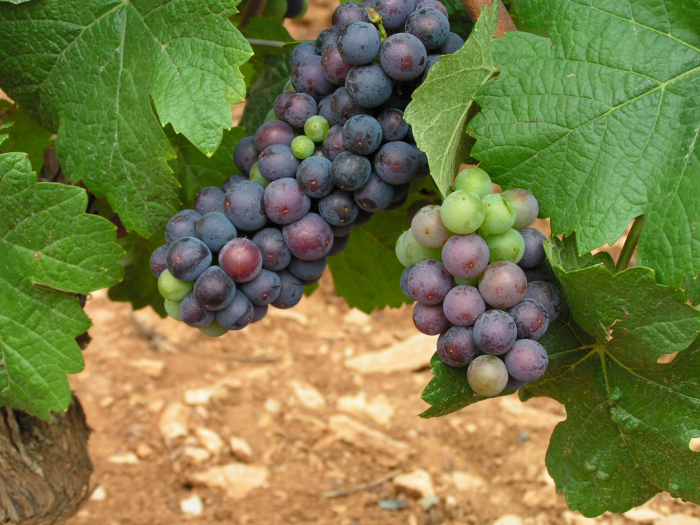 Image Credits: Olivier Vanpé, 2008, Bunch of Pinot Noir grapes in Volnay, Burgundy in early August, when the grapes have begun to get their color.